Special Trustee for American Indians, Vincent Logan, sat down with the Osage News on Sept. 25 at his Tulsa office to share his plans for spreading financial education to Indian Country. 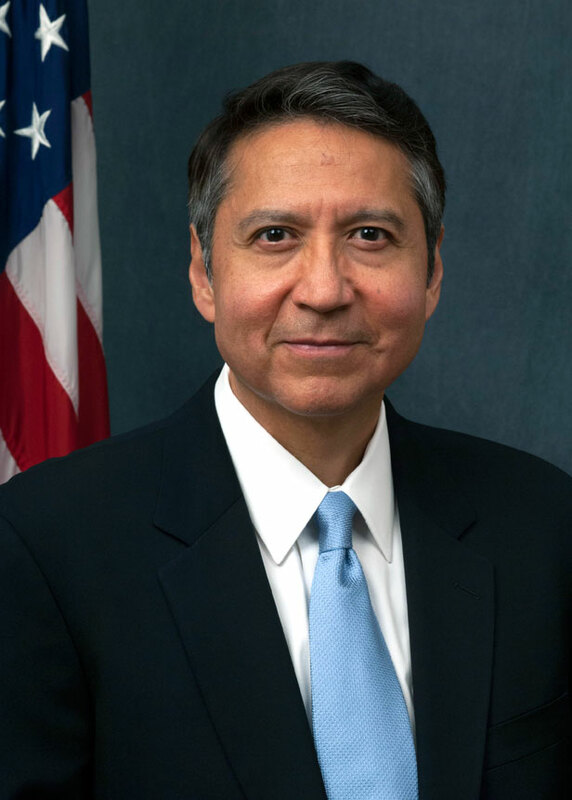 Logan, who is an Osage tribal member from the Hominy District, was sworn into office in early July and is only the second Native American to hold the post. Logan oversees $4.6 billion in American Indian trust funds. 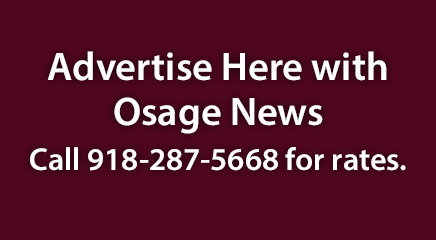 Osage News: What has your time been like since you’ve taken the position of Special Trustee? Vincent Logan: I started in early July and I’m learning so much every day. I keep saying, “I didn’t know that?” because it’s a very complex organization and it has multiple facets and multiple pieces to it that have to play together and come together in a synthesis that makes the OST an efficient machine. But to get to that point it involves a lot of people in numerous offices around the country. Our headquarters is in Washington D.C., but Albuquerque has the majority of our workers. We also have hundreds of workers in the field as well, so my job as Special Trustee is to make sure the system works, that everyone focuses on the beneficiary and we get things done in a timely manner. ON: Explain to me what it was like taking the job and having to handle Cobell? VL: When I started I obviously had great familiarity with Cobell and of course the Osage lawsuit as well. And being an IIM account holder I have the … I saw the Cobell litigation from the outside of course. I wasn’t allowed to know anything prior to being sworn in. When I got there the Cobell matter is really handled by the Garden City Group, at that point. It would have been very different had I been Special Trustee during the case but everything I did, my participation is long after the settlement was reached and that the Trust Administrator, the title for Garden City Group, they had already taken over the disbursement and the management of that settlement. Yes, I did see, we do have some pieces to it, but very small. ON: The latest settlement with the Navajo Nation, will you be involved in administering that settlement? I’m not involved in that settlement, those are handled through the Department of Justice and also we have a team internally at the Department of the Interior that works on tribal trust litigation. Brian Ross, OST acting Chief of Staff: We, just to clarify if I may, we may be administering the payment and distribution if there’s any of those funds deposited into IIM accounts, similar to the Osage settlement, but that will be the extent of OST’s involvement. We might also go out there and assist with financial education and preparing the community. VL: We have field offices, and we have regions and we have regional directors and what it does is show that the OST has a national financial education program and we’re very proud of the work that we do there, and a focus of my tenure as Special Trustee is going to be on raising the level of our financial education program, raising awareness of the program with the beneficiaries and also making it more visible at a national level. ON: Since you have been long involved in educating Native Americans on financial literacy, how would you rate Indian Country? VL: The state of Indian Country is perhaps very similar to the U.S. in that there are individuals well versed, but the majority of Indian Country is not sophisticated in terms of financial dealings and financial management. But, the same is true throughout the United States. In one sense, we are slightly different, because we have communities and tribal nations, but in another sense, in the United States there are rural communities and we have religious communities still in this country so this country is a quilt of many, many types of people and groups, and obviously they all have different education levels and the same holds true for financial education. ON: What brings you to Oklahoma? VL: We are here to meet and introduce our services to beneficiaries here in the state, and we have met with the Muscogee Creek leadership yesterday, and of course we are participating with the Osage Nation today and we plan to meet leadership at the Cherokee Nation tomorrow. All three have many beneficiaries and we want to introduce myself as the new Special Trustee, but also to connect and offer our very extensive financial education program to tribal leadership and to reinforce the idea that OST is one of the preeminent leaders in financial education in Indian Country. ON: I received a question from an Osage restricted landowner wondering if the Cobell settlement would be taxable? BR: That’s a great question, we’re probably not in position to be able to address taxability. We would love to be able to provide the answers, and to the extent we can provide answers we’re going to, but when it comes to the tax we’re going to draw the line and say please consult your tax advisor or the (U.S. Internal Revenue Service). ON: Anything you would like to add for our readers? VL: One thing that is exciting about my new position, and I meant to say this earlier, is that when we discuss financial education and put it in the forefront of our efforts with beneficiaries, we view it as holistic. What I mean there is we offer programs for young tribal members, we offer programs for kids getting their first job, we offer programs all the way for first home buyers and all the way to estate planning, which is of course the end of the life cycle. With respect to estate planning we have exciting things going on and it is an area where Indian Country and American, we all need to get better at estate planning, it’s very complex. There is a lot of depth there we need to present and that’s what people in the field, and people at headquarters, that’s what we know and what we’re taxed with, and what we’re going to pursue and reinforce what we already do in the field. But looking at it holistically is a way of undertaking what is a very large, complex issue. My hope is that Indian Country helps us and joins us in getting a lot of feedback from tribal people, which is one of the things we did yesterday at Muscogee Creek. They told us about their efforts and how we can join them and help and assist their nation. And we’re happy to do that.